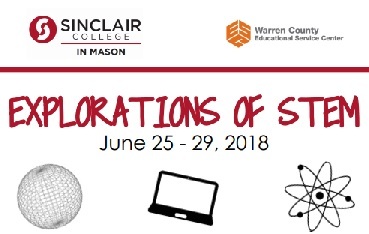 The 2018 WiSTEM (Women in Science, Technology, Engineering, & Math) Camp at Sinclair Community College Courseview Campus in Mason will give young women in high school the opportunity to explore different fields of study associated with science, technology, engineering, and mathematics. Each day these young women will focus on an area of study like computer science, boiology, chemistry, and physics. The ultimate goal of the camp is to expose young women to the vast array of exciting careers and opportunities available in STEM fields. The field trips to the Cincinnati Zoo and Kings Island, along with hands-on activities are designed to inspire the development of a passion for STEM.